CLIENTELE: A broad range of clients use BLACKACRE’S services. For over 17 years BLACKACRE has provided advice and solutions to some of the world’s largest corporations. 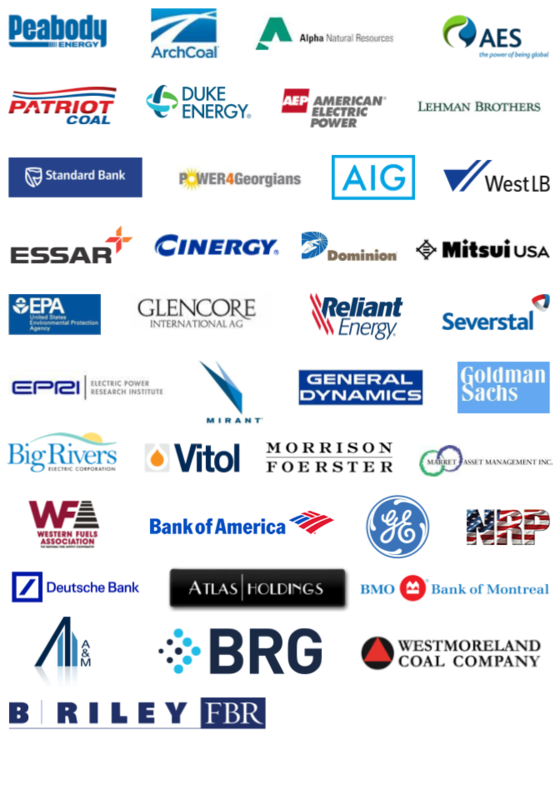 BLACKACRE’s clientele includes some of the largest consumers of coal, legal firms and financial houses.